In some respects, William Pitkin III was the last colonial governor of Connecticut, since his successor, Jonathan Trumbull, went on to hold the office into statehood. Pitkin came from one of Connecticut’s most influential eighteenth century political families. Born in 1694, he was the second child of William Pitkin II, a prosperous businessman and politician, and Elizabeth (Stanley) Pitkin. 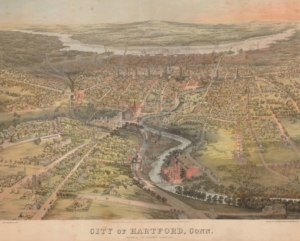 In the mid 1600s, the Pitkin family had settled on the eastern side of the Connecticut River in what was then Hartford but is now East Hartford. William I, the first of the family in America, arrived from England with a legal education and a considerable amount of money. Both he and his son William Pitkin II had active political careers and served on the Council of Assistants to the Governor of the Colony of Connecticut. By the time William III was born, the Pitkins had established themselves as one of the leading families of Hartford. As a young man, William III worked in the family’s clothing mills and received instruction in the law from his father. At the age of twenty-one, his father granted him over three hundred acres of land on which to settle. Although his father wanted him to become a merchant, he was appointed a lease collector for common lands in Hartford in 1725 and went on to serve both the town of Hartford and colony of Connecticut for over forty years. William Pitkin married Mary Woodbridge, the daughter of Timothy Woodbridge, Minister of the First Church in Hartford, and Mary (Wyllys) Woodbridge, on May 7, 1724. The couple had five children. One son, William IV, was elected a member of the United States Congress in 1784. Pitkin’s legal training enabled him to settle civil disputes within the town of Hartford, and he soon became recognized for his fairness and courteous manner. He became a spokesman and mediator for the East Society of Hartford when it had grievances to address at town meetings. The town meetings were held on the opposite side of the Connecticut River, and members from the East Society had to take a ferry across the river to attend. When the members of the East Society complained that the price of ferry rides was too high, Pitkin was on the committee that suggested free fare for those traveling on town business. When the East Society further complained of the time it took to get a ferry from the opposite bank, Pitkin was among those who suggested that ferries be stationed on both sides of the river. Pitkin handled these disputes so well that it was not until 1769, the year of his death, that the East Society petitioned the General Assembly to become a separate town. Pitkin was elected to the Council of Assistants and appointed Judge of the County Court of Hartford County in 1734. His easygoing disposition and reputation for solving disputes fairly placed him in much demand. He was selected to settle a heated debate in the town of Stafford and became the sole person who could call a meeting or distribute the town’s funds until the dispute was resolved. The town of Durham similarly asked Pitkin to intervene directly in an argument rather than bring the matter to the General Assembly. He was appointed a judge of the Superior Court in 1741. Besides settling disputes within Connecticut, Pitkin was enlisted to resolve problems outside of the colony as well. In 1740, he was appointed to a five member Council of War. The Council was to assist the Governor in times of conflict and to act with the power of the General Assembly in emergencies. Pitkin also served on a committee to negotiate with the Six Nations Indians and to persuade them to be allies of Great Britain rather than France. The Six Nations was a powerful confederation of Iroquois tribes, and both the British and French viewed an agreement with them as vitally important to their interests in North America. In 1754, Pitkin, along with three other representatives from Connecticut, was appointed a delegate to the Albany Conference. The Conference was called by the northern colonies to outline a plan of defense for the approaching war between Great Britain and France. Pitkin served with Benjamin Franklin on a committee to draft the plan that called for the colonies of New Hampshire, Massachusetts, Connecticut, Rhode Island, New York, and New Jersey to supply troops and provisions under the command of a President General. The President General would lead the militia and be advised by a Council made up of members from each of the colonies. Although Pitkin at first agreed to the arrangement, public sentiment back in Connecticut caused him to change his mind. People did not like the idea of a President General from another colony commanding their militia and were concerned that Connecticut might lose a portion of its independence by joining the Conference. Throughout the mid part of the eighteenth century, the New England colonies experienced religious upheavals. In Connecticut, one of the most divisive religious issues was the Saybrook Platform, which created associations of ministers and formed unions of congregations. The supporters of the Saybrook Platform and those who opposed the Great Awakening eventually became known as Old Lights. The Old Lights favored the Saybrook Platform changes because they allowed for greater control over individual churches and maintained law and order. Opposed to the changes were the New Lights who felt that the associations smacked of Presbyterianism and undermined the true nature of the Congregational church. The Great Awakening, led by the New Lights, tried to reverse the changes and bring the Congregational Church back to its roots, with all functions vested in the individual local Congregations. Charismatic traveling ministers preached around the state, much to the disgust of the Old Lights, who felt the ministers were a threat to traditional values and greatly opposed them. The religious controversy raged for years and divided people along political and geographical lines as well. The majority of the Old Lights lived in the wealthier and more populous western Connecticut, while the New Lights were concentrated in the eastern part of the colony. In 1754, Thomas Fitch, an outspoken Old Light, was elected Governor, while Pitkin, who supported the New Lights, was elected Deputy Governor. Despite their differences, Fitch and Pitkin managed to work together amicably during the French and Indian War and were annually re-elected until 1766. The French and Indian War ended with a great victory by the British in 1760. The war was hugely expensive, and Great Britain decided that the American colonies should be taxed in order to help pay the cost. In 1765, the Stamp Act was passed, placing a tax on numerous paper items such as playing cards, newspapers, pamphlets, and on legal documents. The Stamp Act outraged almost all of the colonists. In Connecticut, the controversy over the Stamp Act further increased the tensions between the New Lights and Old Lights. Although both groups were angry and resentful of the Act, Old Lights believed that it was their duty as loyal British subjects to comply with it. The New Lights violently opposed the Act, and a group of them formed the Sons of Liberty, who pledged to see the act repealed regardless of the consequences. A large group of them even went so far as to capture Jared Ingersoll, the Royal Stamp Distributor. Under threats of bodily harm, the mob forced him to resign his post. When the Stamp Act went into effect on November 1, 1765, all colonial governors were required to take an oath to support it. Fitch did so reluctantly, but in doing so ended up losing political support from all but his closest friends. Pitkin, as well as other members of the Council, defiantly left the room to show their hostility. Although the Stamp Act was repealed in February of 1766, the Sons of Liberty mounted a campaign to remove Fitch and his supporters from office. 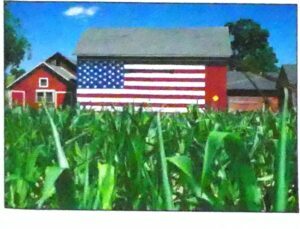 In the upcoming election, they backed Pitkin for governor and Jonathan Trumbull, another New Light, for deputy governor. Pitkin won the election of 1766 by a landslide, an enormous victory for the New Lights. For Pitkin personally, his victory was overshadowed by the death of Mary, his wife of over forty years. She died in February 1766 and is buried in East Hartford’s Center Cemetery. Pitkin ran for governor again from 1767-1769. Each yearly election was a heated contest as the Old Lights tried to get Fitch back in the governor’s seat. Pitkin defeated Fitch each time, gaining 4,777 votes to Fitch’s 3,484 in 1767, 5,033 votes to 2,835 in 1768, and 4,654 votes to 2,636 in 1769. Pitkin was able to remain above the resulting turmoil partly because of his reputation for fairness and his calm, affable manner. In addition to his public duties, Pitkin was involved in the operations of the clothing mills that were left to him by his father, and thus was Connecticut’s first merchant governor. Pitkin’s brief time in office was dominated by the continued arguments between the colonies and Great Britain over the latter’s attempts to limit the colonies’ freedom. The Townshend Acts of 1767, which placed taxes on various imported goods, caused less commotion than the Stamp Act but were opposed by the colonists nonetheless. In Connecticut, the colonists joined with Massachusetts and New York in boycotting merchandise imported from Britain. The Acts were eventually repealed on all items except for tea. Finally, after stalling the English government as long as he could, Pitkin reluctantly assigned New Haven, Wallingford, and Branford as the locations where British troops could be stationed. For his efforts in defending Connecticut against what many considered Britain’s tyrannical rule, he is known as the “Champion of Colonial Rights.” He died on October 1, 1769 at Hartford, in what is now East Hartford. William Pitkin is buried beside his wife Mary in East Hartford’s Center Cemetery. He is commemorated by that town’s Governor William Pitkin School. Bates, Albert C., ed. The Pitkin Papers: Correspondence and Documents During William Pitkin’s Governorship of the Colony of Connecticut, 1766-1769, with Some of Earlier Date. Collections of the Connecticut Historical Society, vol. XIX. 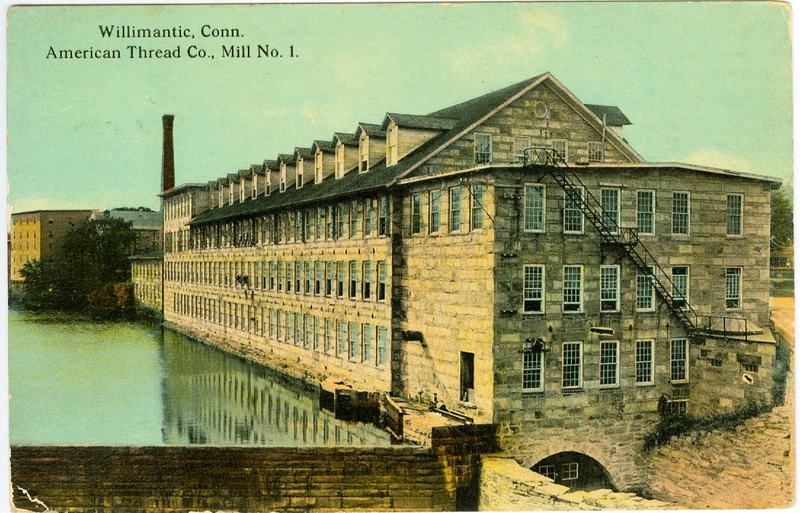 Hartford: Connecticut Historical Society, 1921 [CSL call number F91 .C7 v.19]. Daniels, Bruce C. Connecticut’s First Family: William Pitkin and His Connections. Connecticut Bicentennial Series XI, Chester, CT: Pequot Press, 1975 [CSL call number HistRef ConnDoc Am35 cb nos.9-15]. Dictionary of American Biography. Volume 14. New York: Charles Scribner’s Sons, 1936, s.v. “Pitkin, William,” pp. 640-641 [CSL call number E 176 .D56]. Garrity, John A. and Mark C. Carnes, eds. American National Biography. New York: Oxford University Press, 1999, s.v. “Pitkin, William,” pp. 568-569 [CSL call number CT 213 .A68 1999]. Highways & Byways of Connecticut. Hartford: G. Fox & Co., 1947 [CSL call number F 94 .H54 1947]. Lanman, Charles. Biographical Annals of the Civil Government of the United States During Its First Century, From Original and Official Sources. Washington, DC: J. Anglim, 1876 [CSL call number E 176 .L291]. National Cyclopedia of American Biography. New York: James White & Company, 1898- , s.v. “Pitkin, William”, vol. X, pp. 927-8 [CSL call number E 176 .N27]. Pitkin, Albert P. Pitkin Family of America: A Genealogy of the Descendants of William Pitkin, From 1659 to 1886. Hartford: A.P. Pitkin, 1887 [CSL call number CS 71 .P684 1887]. Williams, Eliphalet. The Ruler’s Duty and Honor…A Sermon Occasioned by the…Death of the Hon. William Pitkin. Hartford, 1770 [CSL call number Welles Collection 920 P6822w]. Wilson, James Grant and John Fiske, ed. Appleton’s Encyclopedia of American Biography. New York: D. Appleton and Company, 1887-1900 [CSL call number E 176 .A655]. Note: Materials that specify Welles Collection are subject to the Rules and Procedures for Researchers Using Archival Records and Secured Collections Material. No known portrait of William Pitkin exists. Originally prepared by David O. White, Museum of Connecticut History, Connecticut State Library. Edited and revised by CSL Staff, August 2003.